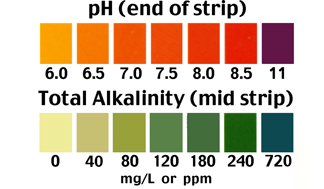 Plant Growth Nutrients and Bacteria in Water Tests Fertilizer Concentrations. 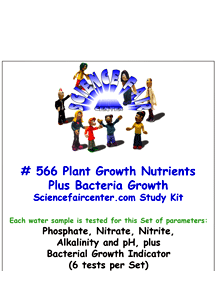 Plant Growth Nutrients and Bacteria in Water Tests fertilizer concentration influence on plant growth and bacteria growth response. Plant Growth Nutrients and Bacteria in Water Tests fertilizer concentration influence on plant growth and bacteria growth response. Monitor nutrient uptake and release due to plant growth. Chemical testing only takes a few minutes per sample. The bacteria sample grows for 2 days before reading. 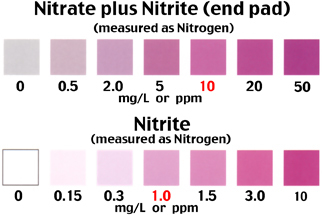 Each water sample is tested for this Set of parameters: Phosphate, Nitrate, Nitrite, Alkalinity, pH Plus Bacterial Growth (6 tests per set). 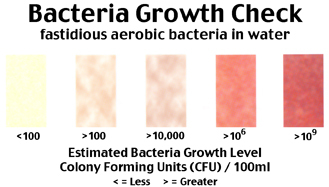 Plant Growth Nutrients and Bacteria in Water Tests fertilizer influence on plant growth and bacteria growth response.